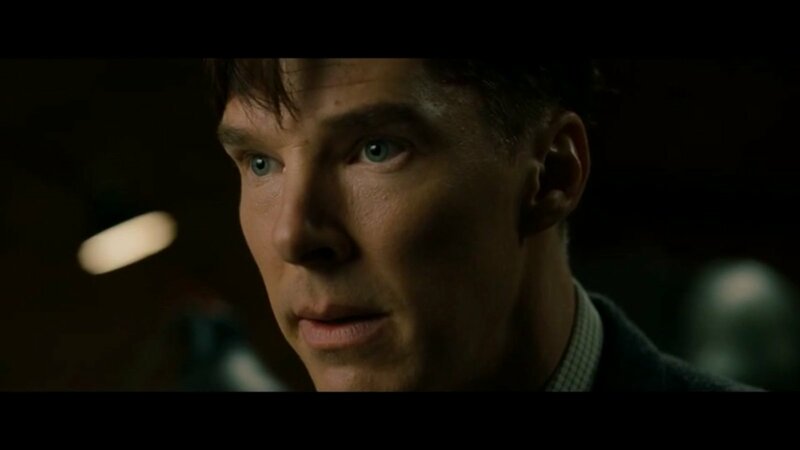 „The Imitation Game“ which hits German cinemas at January 22nd celebrates and focuses on codebreaker Alan Turing, the unsung hero who helped to win the war for the allies. It is believed today that he shortened the war for about two years and saved millions of lives. Alan Turing (played by Benedict Cumberbatch) is one of the first experts in Bletchley Park. Born in 1912, he has just finished his studies in Cambridge and is „an odd duck“ according to his mother and colleagues. In his job interview right at the beginning of the film he calls himself one of the best mathematicians in the world, a genius who somehow lives in his own world but he discovers that Enigma can only be beaten by another machine. A machine – the Turing bombe as it is called later – that would work without interruptions and which he is eager to build against all odds. Only after Alan discovers by chance that some words will appear in every German message he and his colleagues are able to reduce the unbelievable numbers of possible codes so that the bombe is finally able to do its work. It’s an irony of history that the arrogant greeting „Heil Hitler“ – „Hail to Hitler“ helps the allies to win the war because these words are in fact hidden in every message. But the life of the codebreakers at Bletchley Park isn’t to get easier at all. It is Alan who knowing that homosexuality is illegal tries to hide his biggest secret and protect his privacy while – at least in the film – is suspected to be a Russian spy. After World War II he isn’t celebrated as a war hero but sentenced to chemical castration to „heal“ his homosexuality. But the oestrogens not only caused growing breasts but left Alan unable to concentrate on his beloved work and he killed himself in 1954.